There is far more that the Wynne government can do to help Ontarians struggling with sky-high hydro bills. But will they do what needs to be done? It will come as no surprise to Ontarians that according to a recent Nanos Research poll, the cost of hydro was the most important issue for 20.5 per cent of voters, eclipsing the usual suspects such as health care (15.1 per cent), jobs and the economy (9.6 per cent) and high taxes (7.3 per cent). And it will also come as no surprise that recent polls suggest that the popularity of Ontario’s Liberal Government is taking a beating because of the issue. Undoubtedly, the government is frustrated by the electorate’s focus on the cost side of the hydro file and its relative lack of interest in what the Liberals see as a series of environmentally friendly energy policies (the closure of the coal plants, the Green Energy program, increased “clean power” imports from Quebec, etc.) that have dramatically reduced smog days and made Ontario a leader in North America in fighting climate change. But if the Liberals are puzzled by the public’s refusal to give them much credit for their green energy initiatives, they only have to look as far their crassly political cancellations of the Oakville and Mississauga gas plants to understand why the public isn’t cutting them much slack on the hydro file. Politics is nothing if not a blood sport and if you want political credit for making tough decisions on a file, then it is probably best not to engage in a billion dollar’s worth of political opportunism (the cost of re-locating the two gas plants) on that very same file. After all, that’s a billion dollars added to the hydro bills of the very voters that were already paying for the elimination of cheap, coal-generated power! That said, it appears that Kathleen Wynne has gotten the message (high hydro bills are “my mistake”) and has promised to announce new rate reduction measures over and above the already announced 8% HST rebate. But is there really anything that can be done to make hydro more affordable in the short window before the next provincial election in the spring of 2018? Well, as it turns out, there is quite a bit that can be done to lower hydro rates short-term – for some people. The problem is that as long as the solution is rooted within the ratepayer base, every dollar in energy savings pocketed by one group of Ontarians as a result of a change in the rate structure, has to be paid for by another group of Ontarians through higher hydro bills. Short-term, there is simply no way around this iron clad rule of Ontario’s energy market. The question that has to be asked, therefore, is which hydro users should pay less and which should pay more. But before going into possible options, a little background on the basics of Ontario’s complex electricity system. 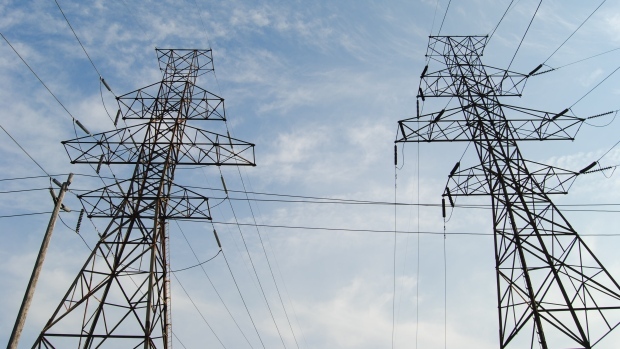 The single most important thing to understand about attempting to implement short-term reductions in electricity rates is that, as mentioned above, Ontario’s “hybrid” power system is structured so that by law, rates have to be set to recover the full cost of the system – and this includes the full costs of generation, transmission (long-distance wires), and distribution (your local hydro company). What this means is that if the costs for one group of electricity users is reduced by $1 billion annually (say, for large industrial users such as Hamilton steel-maker Dofasco), then the costs for all other power users automatically increase by $1 billion. As it happens, with the enhancement of the Industrial Conservation Incentive (ICI) announced in September, this is precisely what’s going to happen in that the rates of large industrial power users will be reduced by about $1.2 billion annually through the ICI program as of January 1, 2017. This means that all other hydro users (residential, etc.) will be paying $1.2 billion more annually for hydro than they would have paid if there was no ICI program to begin with. So, as a general rule, if the government takes action to reduce the bills of one group of electricity users, everyone else’s bills will automatically go up by an amount equal to the savings of the target group. But that automatic trade-off occurs only if the savings initiative is funded within the hydro ratepayer base. The other approach is to allocate tax money to all (or some) hydro users to effectively lower a particular group’s rates. This is what the government did with the Clean Energy Benefit which reduced residential, farm and small business electricity bills by 10%. It was in effect from 2011 til the end of 2014 and cost the government roughly $1 billion a year. The HST rebate announced in September (and which will be in effect as of January 1, 2017) is another example of throwing tax dollars at a large group of power users (essentially the same group as the Clean Energy Benefit) to reduce their bills. In principle, there is nothing wrong with using funds from a relatively progressive tax base to make life more affordable for those in need and critics who dismiss this approach as turning the electricity system into a “social program” are missing the point. The important thing isn’t whether initiatives such as the 10% Clean Energy Benefit and the 8% HST rebate are “social” in nature but whether they are benefiting the people most in need and whether, as currently structured, they are a good use of tax payer money. So are initiatives such as the HST rebate and the Clean Energy Benefit a good use of tax payer money? No they are not. In fact, these particular initiatives are a pretty bad use of tax payer money because they are not targeted towards the people who really need hydro relief. And the problem is not just that these programs throw hard-earned taxpayer money at people who don’t need the help. The truth is that they actually give more money in absolute terms to the affluent than to people who are truly hurting. How can this be? Simple, what is often overlooked about subsidies such as the HST rebate and the Clean Energy Benefit, is that they provide a benefit proportionate to electricity spending meaning that the more you spend on electricity, the bigger your rebate. And, of course, the bigger your residence, the more you are likely to spend on electricity (think air conditioning). How does this play out on the ground? On September 27, Ontario’s Financial Accountability Officer (FAO) issued a report showing that the burden of home energy costs, as measured by share of income spent on home energy, falls more heavily on lower income Ontario households in spite of their lower overall energy spending. In 2014, the lowest-income 20% spent on average 5.9% of their pre-tax income on home energy, while the highest-income 20% spent only 1.7%. The FAO’s report also showed that the average Ontario household in the top 20% of income earners will save $160 annually as a result of the HST rebate, whereas the average household in the lowest 20%, will save $63. What this means is that despite the fact that low and modest income Ontarians are paying a much greater proportion of their income in energy costs, the new, $1 billion HST energy rebate benefits higher income Ontarians far more than lower income Ontarians. In other words, while the average hydro user is getting around $120 annually from the rebate, the people who own 10,000 sq. ft. mansions in ritzy Toronto neighbourhoods such as Rosedale and Forest Hill are getting two or three times that! The existence of the two programs begs the question as to why the government chose to allocate $1 billion annually to a new program that benefits affluent Ontarians much more than modest income Ontarians, when the Province could have enriched one or both of the targeted programs at far less cost than the HST rebate. In fact, just $500 million allocated to one or both of these existing programs would have dealt much more effectively with the energy affordability problems of low and modest income Ontarians (the people hurting) than the $1 billion spent on the HST rebate. Of the two programs, the Ontario Electricity Support Program (OESP) is probably a better bet for providing relief to those who need it so let’s take a closer look at how it works and what changes could be made to allow it to benefit a higher proportion of Ontario hydro users. Clearly, there is a strong argument in support of broadening the OESP to include more hard-pressed Ontarians and to increase the payouts somewhat. So how much would it cost to expand the program to allow for the eligibility of a greater number of hydro ratepayers and to provide a slightly enhanced benefit for all participants? Early estimates of the costs of the Ontario Electricity Support Program suggest that 500,000 low to modest income hydro users could be eligible under current rules with total program costs in the $200 million range (the program began January 1, 2016 and as of this writing, no full year statistics are available). This suggests that the government could increase the maximum household income eligible for the program to $70,000 per household (from $52,000) as well as modestly enhance the benefits for all recipients, and still keep the total budget to $500 million – or half the cost of the regressive HST rebate. Moreover, there is no reason why the OESP couldn’t be funded out of the tax base as opposed to the rate base – particularly if the tax funded HST rebate was to be reduced or even eliminated. This in turn would lower the bills for non-OESP eligible ratepayers as these ratepayers are effectively paying more on their bills to pay for the program. Another useful idea would be to allow low and moderate income households (as well as seniors) to opt out of Time Of Use pricing (i.e. the approach to electricity pricing used in Ontario where peak demand periods are more expensive than lower demand periods). There is considerable evidence that seniors and single parent families typically have less flexibility to shift their use of electricity to cheaper, low-demand periods and some sort of opt-out provision from Time of Use pricing may very well benefit these households. In fact, creating a more efficient system by improving the planning process, substantially changing the market design, consolidating hydro agencies, and dealing with other “structural” issues, is where the really substantial savings can be found. In other words, while investing in conservation should reduce system costs, the way the system is organized now, just the opposite occurs. And even if there is the political will to do so (a questionable assumption), untangling these and other similarly complex structural issues is going to take time. And time is something that Ontario’s Liberal Government is in short supply of. As such, the sort of long-term reforms needed to fix the structural problems identified by Lysyk are unlikely to be seriously considered – much less implemented – in the 18 month period leading up to the 2018 provincial election. The political payoff from dealing with such complex issues is simply too far in the future for a government 10-15 points down in the polls. So instead of addressing the structural issues, we are likely to see variations on the HST rebate announced in the coming weeks and months. But struggling Ontarians deserve better than a regressive HST rebate that delivers more money to the affluent than those who desperately need help in paying their hydro bills. If the Wynne government is serious about bringing short-term relief to those who are really hurting from Ontario’s ever increasing hydro rates, they will seriously consider the proposals (such as the enhanced OESP) detailed above. After all, average Ontario taxpayers shouldn’t be footing 8% of the bill for air conditioning 10,000 sq. ft. mansions. About 30% of the cost of Ontario electricity is price regulated transmission and delivery, the rest is the commodity, generation. Then the provincial governments of all parties manipulate the commodity price. The more the politicians price electricity the worse it gets. The presumption that high users of hydro are the most affluent is flawed. The argument conveniently forgets that many rural hydro users are living in areas where natural gas is not an option for home heating. In Ontario, home heating is the largest part of utility bills most are faced with. If families have hydro as the heat source vs. other not so good options, these are often the very people who spend a large portion of their income to keep the heat on. SAME THING HERE Dave ng is not available propane is not an option ,in my low density area ,I just hate the delivery unfairness. An expanded O.E.S.P., which is paid by all hydro users including those who need it, simply increases hydro users costs. Instead reduce costs such as salaries and benefits [no one in public service(s), including politicians, needs to be paid more than the Y.M.I.E. or get benefits not available to working people do they?] Keep cost increases the same as pensions, welfare, and disability payments are increased by using the C.P.I. the 99% live by. Maybe then low income people will have a chance. Did I miss it, or was there no suggestion of recreating Ontario Hydro? Remember with 1998’s Hydro restructuring was the beginning of exponential rate increases. We were warned exactly this would happen! The focus on absolute dollars vs percentage savings is very misleading, as the rebate will represent a higher percentage of low-income users’ total income, not benefitting wealthy families more. Would a flat income tax in dollars of $10,000 be “fair”? The rich would love that! The point of percentage is that your savings become proportional, not only to what you use but what you are billed. The HST is an unfair burden to all on a essential service that should not be taxed in the first place. The solution to our hydro rates in Ontario is to roll back the prices. Cut the peak hour to 11 cents per KwH, and off peak to 6.5 cents per KwH – I refuse to cook, make coffee run or turn on the computer during peak hours. Leave Ontario. They should be paying Quebec for access to hydro. All the provinces have given so much money to Quebec because they’re a have-not province. People also have to have a thermostat with a timer so they keep the heat down when they’re not home & at night when they’re sleeping. Also, take advantage of the low time rates of the Day makes a big difference. If you have an electric fireplace, switch over to a gas one. Add it to your mortgage, an extra $5000.00 over 30 years.